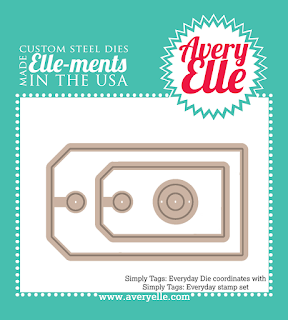 Simply Tags can be found at Avery Elle! So I am halfway through my weight loss journey. Starting to lose a little focus, but pushing to move forward. I am also trying to work on not yelling so much at my kids. It's times like these that I can certainly feel the stress of 4 kids. Sometimes I joke and say, I would be an awesome parent of a single child. But get them all together and it's a madhouse! Lance and I have "meetings" every few months to see how we are doing as a couple, parents, and family. Our last meeting revealed that we have started to notice we are yelling more. After some brainstorming, I came up with a yell jar. If you yell, your name goes in the jar and you do not get to see a movie TODAY! (it's been one week). If you do something merit worthy, then a person can choose to remove your name from the jar. This gives everyone a chance to be rewarded for good behavior too and it makes us conscious of how we are responding and finding other ways to interact other than yell. I am happy to report we have no names in the jar today. And the noise level in our house is down. What an adorable card Wida! Very awesome Wida! Love the bright colours teamed with the tag and twine - looks like a pretty present all packaged up!! I love family meetings. You are an awesome mama. And, your card is so bright and happy! I love how you used that lonely little polka dot stamp and created a party on your tag! Fabulous use of twine - so very, very sweet! Family meetings and yell jar sounds so much fun, haha! Have a great weekend Wida! Which movie are you going? Your tag card is terrific, looks so good against the graphic background. Love the idea of a yell jar, but give yourself credit, you have ALOT on your plate and I think you do a great job to make it work. Wida, the card is beautiful! Keep the focus on the weight loss journey. The easiest approach I find is to not look at it in a timeframe, but to tell myself it is a lifestyle change forever. Make sustainable changes, and you'll do just fine. ;-) You are an amazing parent. Great idea on the yell jar. Sometimes (often) I need one of those, too! Cutie patootie card with Nina's new stuff. So glad you had a good day and the noise is down. You know what else keeps the noise down...brownie sundaes...lol! Well, it works for the noise, not the hips! love the gift packaging design. super fun and cute! love it, Wida! 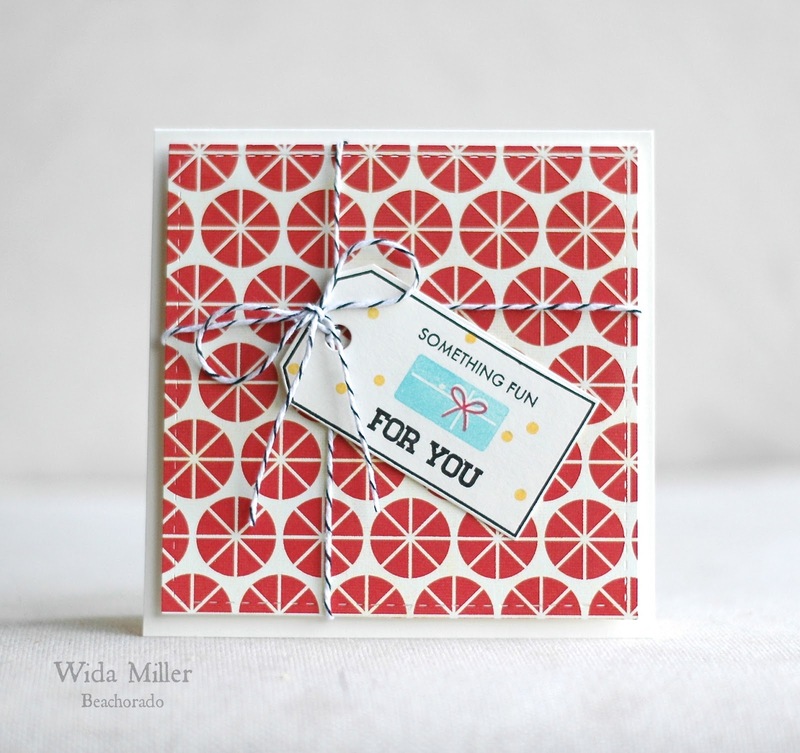 Cool "gift" and gift tag Wida - LOVE it! Love your cute tag. Congratulations on your weight loss to date. I think your "yell jar" is a great idea. It brings attention to all the yelling. Good luck with everything. Wida you mean blow you away like yours is to me?? 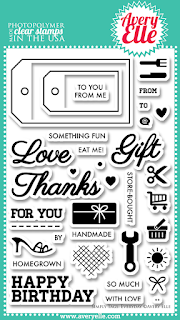 Your card and tag are fabulous! Wida not only are you creatively talented in your crafts but you're also creatively talented in problem solving! 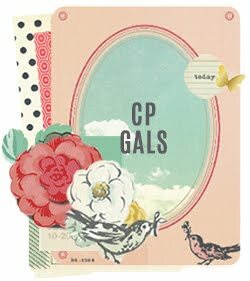 Love your ideas and this fun card! The yell jar might be renamed the Miriam jar at my house..... But back on point, I really love this card, and the gift box design. Great bold paper and I love the little yellow dots on the tag! While I love your card - it ROCKS, your solution to yelling is fabulous - but the best is the "reward" of having a name removed! What fabulous POSITIVE parenting -- GOOD for ALL of you! :) I did have only 1 child -- its just a different set of challenges for sure. Cracking card! Do love Nina's set too. 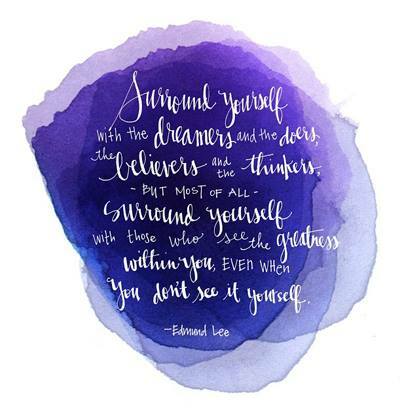 Think your jar idea is inspired. Might see if it would work in our house! I really like the card Wida, luv the sentiment and tag. I can only imagine having 4 kids, whoa :) Funny because I don't have any kids and I yell quite often ... at my husband, hehe! And great idea with the yelling jar-- and the meetings sound good, too. Thanks for sharing! A Blog Named Hero and Neat and Tangled UNITE! RIC #37 Disclaimer: I only own ONE bear stamp.